Step back in time in this beautifully restored medieval manor house. 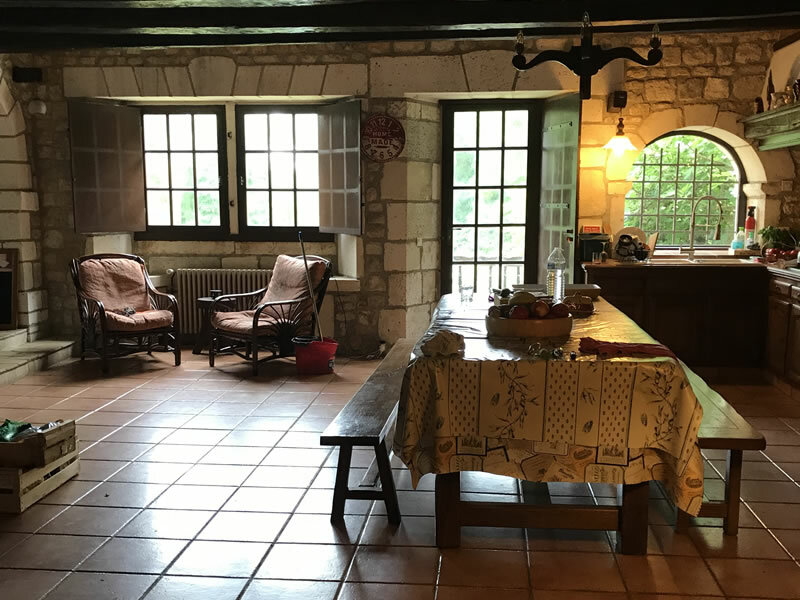 The house is a traditional Charantaise house 20 minutes from Angouleme town centre, and bordering on the Dordogne. 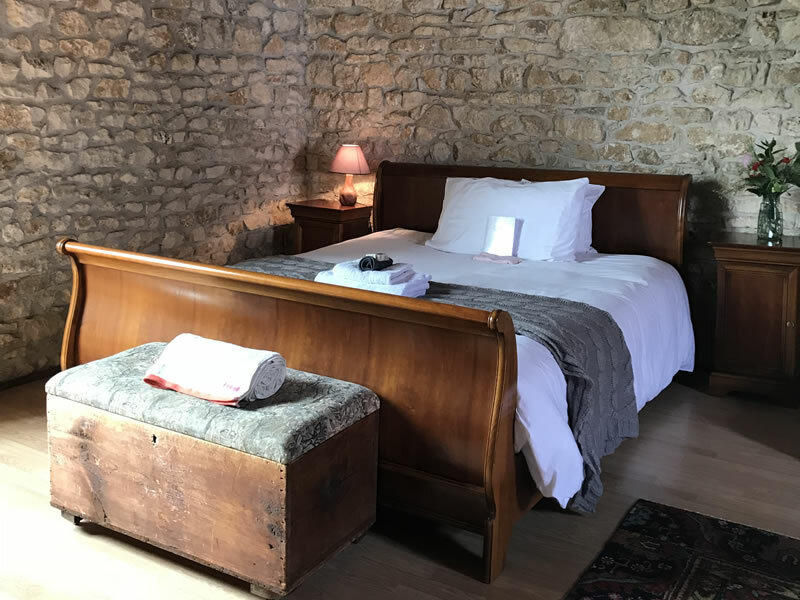 It dates from the 14th Century and is full of character; a unique property sympathetically restored offering all the comforts of the 21st century. 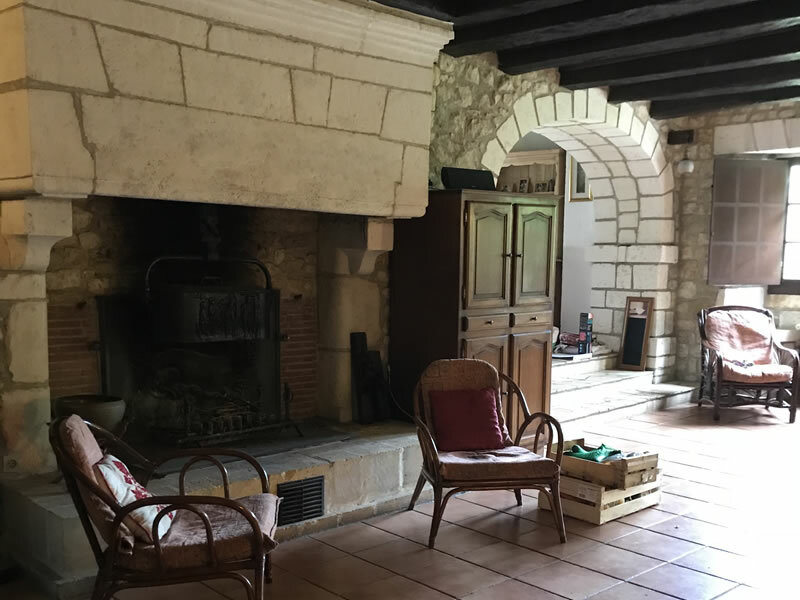 The area is perfect for soaking up the traditional French life. 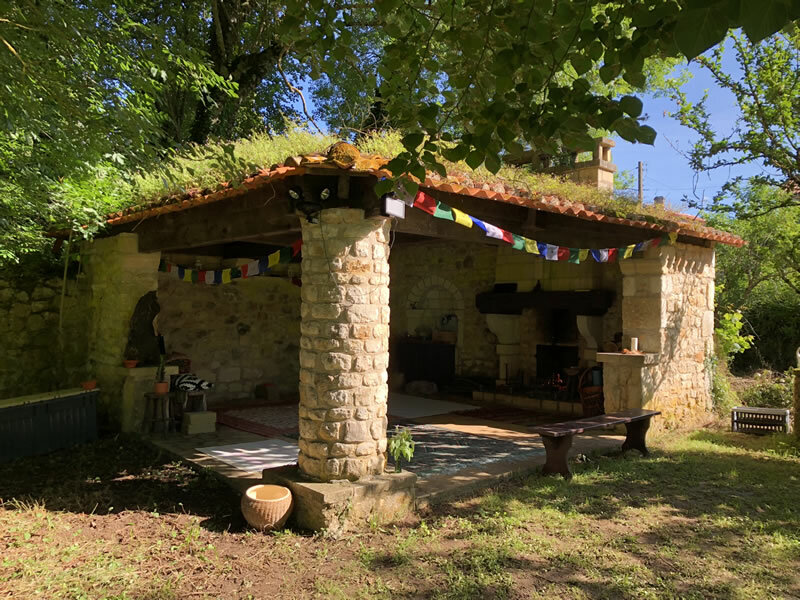 The rivers Tardoire and Charente are both within easy reach for a variety of water sports, The Tardoine at Montbron particularly good for canoeing and fly fishing. There are numerous lakes in the area where sailing and swimming can be enjoyed. A large country style kitchen, fully equipped for cooking, eating and making drinks including a coffee maker. 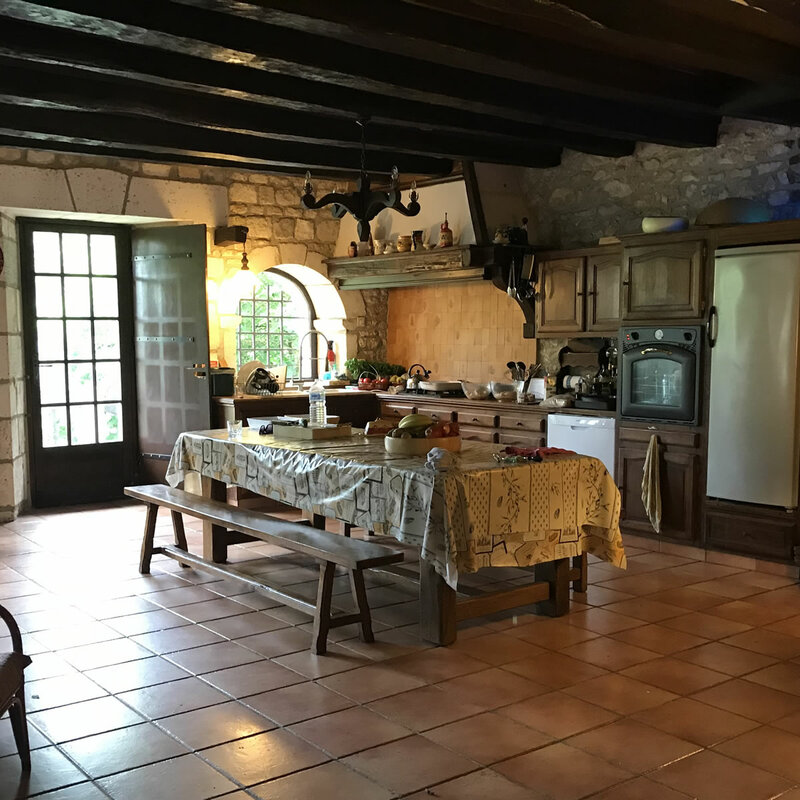 The kitchen is through a wide arch from the hall and is very large with space to cook and seat 12 at a monastery style table. The hall is large with a dresser, a bench, a coat rack and plenty of room for shoes/boots and outdoor wear with a downstairs lavatory. The Lounge leads off the hall, two large leather sofa’s with reclining feet rests, and other chairs to comfortable sit 12 people. The main feature is the 13th century fireplace which you can almost walk in to. A great room to sit and relax, read or play games together. The large double windows let natural light in and looks out on to the Veranda. 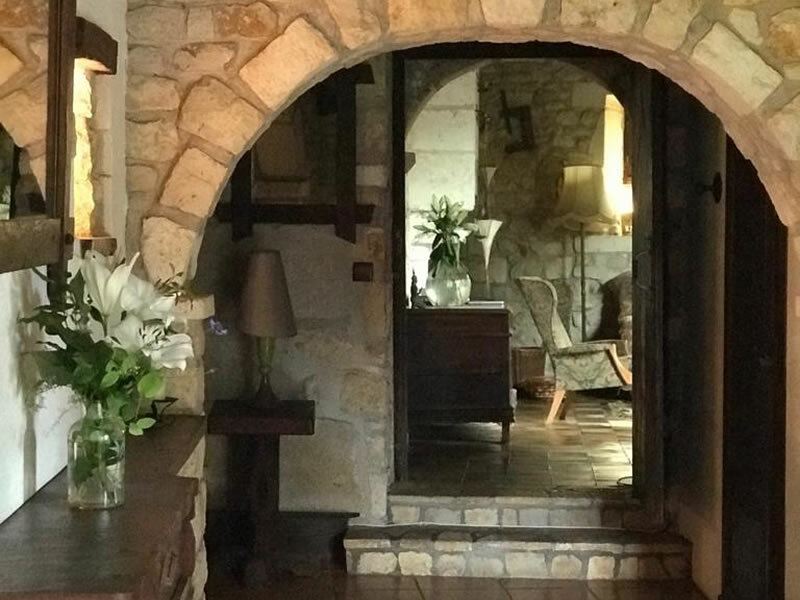 The Dining room leads off the lounge through a large arch. The furniture is in keeping and there is a delightful dresser. A doorway leads on to the terrace that surrounds the house to either access outdoor eating or the grounds. 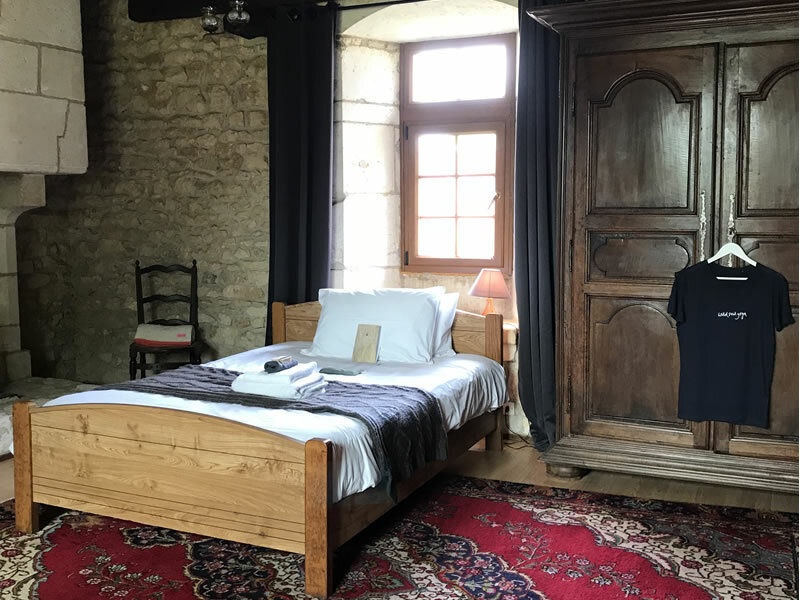 The four double bedrooms in the main house are furnished with French antique furniture and comfortably sleep 11 people. Three rooms are enormous and one smaller room. The master bedroom has a King bed and the other three double beds, one room has an additional single bed and the family room additional bunk beds. One of the rooms features a grand open fireplace. The stone walls keep the rooms cool in summer and retain the heat in winter. Each room benefits from the views across the countryside and across the 1 acre of gardens. 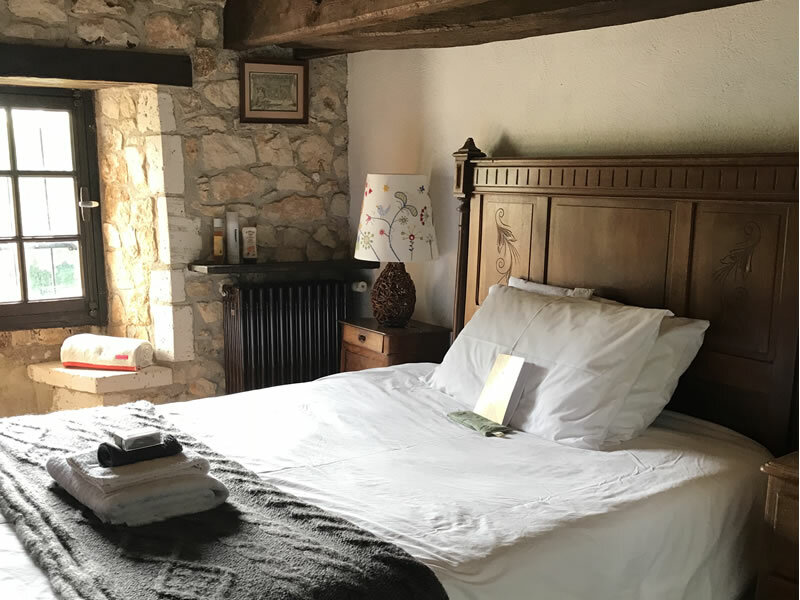 The rooms have wooden shutters that can be closed to shut out the light, for morning lie in’s and children’s naps. Stone window seats are a perfect place to sit to enjoy the sunshine and views. The river that borders the property has a weir which can be quietly heard rushing in the background. In addition, there are 2 double beds in the Gite and Atelier. There are superb views of the surrounding countryside and the river Bandiat meanders along the two sides of the property. 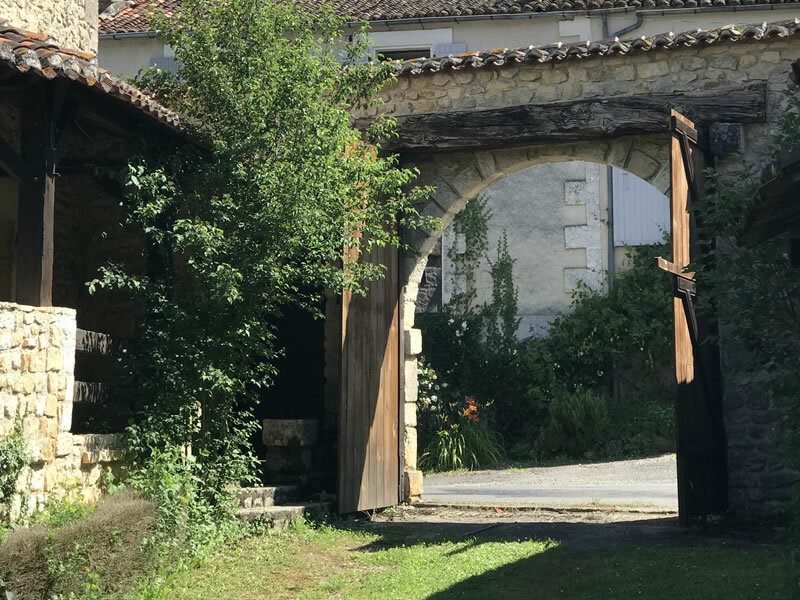 The courtyard’s by the house and gite has parking for 6 cars. . A grassed raised area gives depth to the property, and as you walk down to the grounds you pass the Cave and can access the laundry room. This outside area may be secured by closing wooden gates for dogs or small children. The Terrace surrounding the Manor House or the BBQ building are a calm oasis in the heat of the summer, ideal to sit in the shade. A raised walled garden outside the games room and at the bottom of steps descending from the kitchen provides an ideal place for small children to play and a stone, tiled table for alfresco dining.. The walled garden may be secured by closing the gates. The 1 acre grounds are home to established trees, fruit trees and shrubs. The field is ideal for sport, there is a trampoline and in the games room games equipment. By the river at the top of the grounds is a small stone, tiled table for picnics, close to the weir that bubbles close by. The exterior of the house is unusual and interesting and creates a lovely backdrop while enjoying the outdoor life. 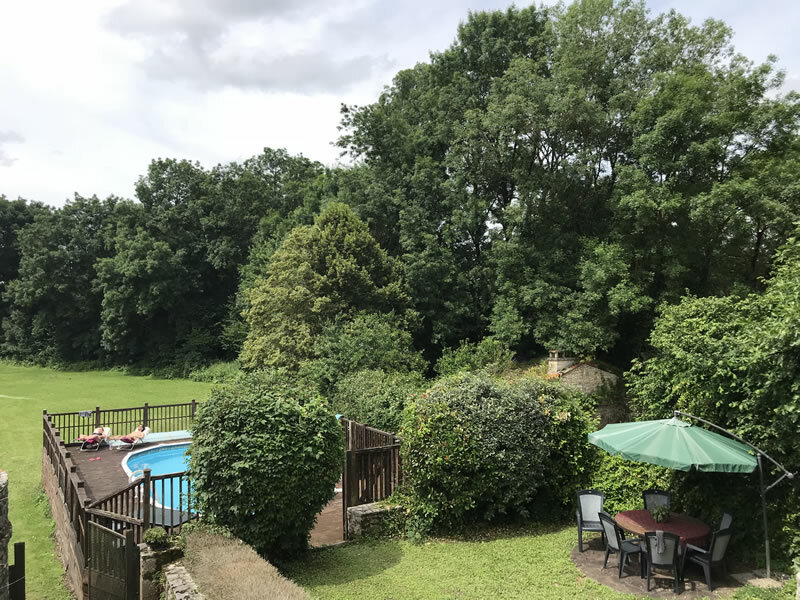 The Manoir provides a lot of facilities to groups and multi-generational families with or without children and local village shops, cycling, water sports, canoeing, golf, tree climbing, lakes & beaches, markets, sightseeing, festivals & events including the Circuit de Rempart. A fully equipped large country style kitchen which features a monastery style table with benches to sit 12. Easy access to the veranda table and the steps to the walled garden by the pool where eating out may also be enjoyed. The lounge has comfortable reclining chairs, flat screen television but the main features is the huge 13 century fireplace. The Dining room is through an arch with a door on to the Veranda. 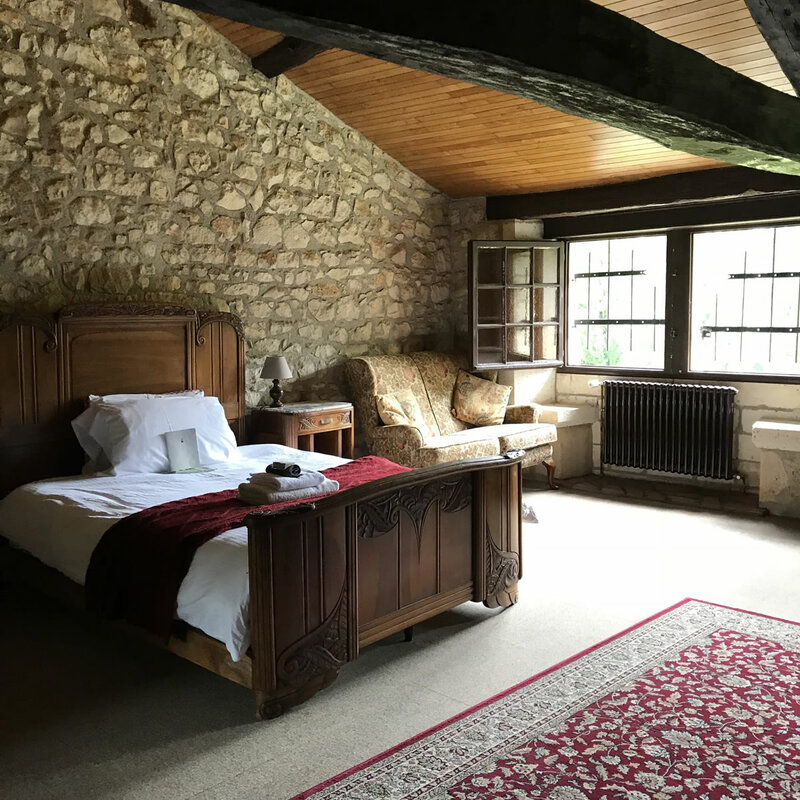 The six double bedrooms are furnished with French antique furniture, many of which have superb views across the countryside. Sleeps up to 12 within the rate or more on application. The house is connected to Wi-Fi, there are two flat screen televisions and a WII. Most mobile networks receive reception. 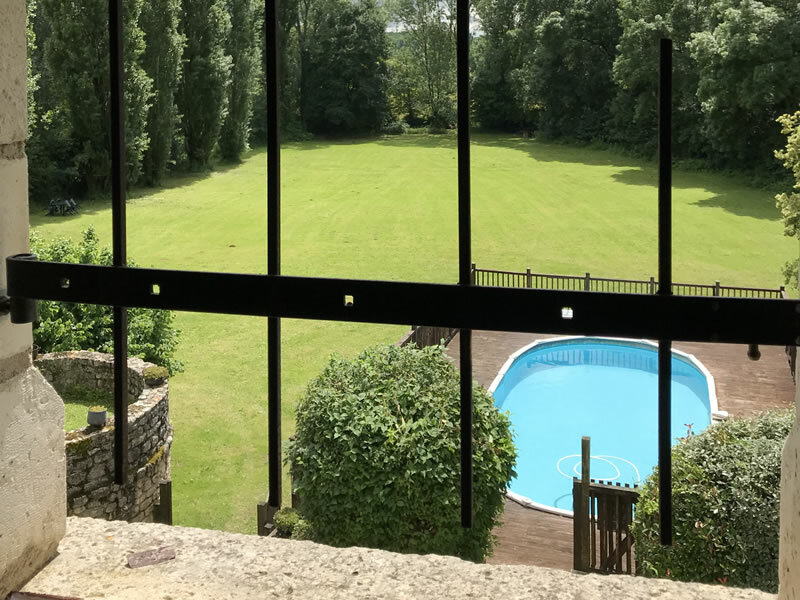 The property is enclosed and private stretching across 1 acre of land and on into the surrounding countryside. 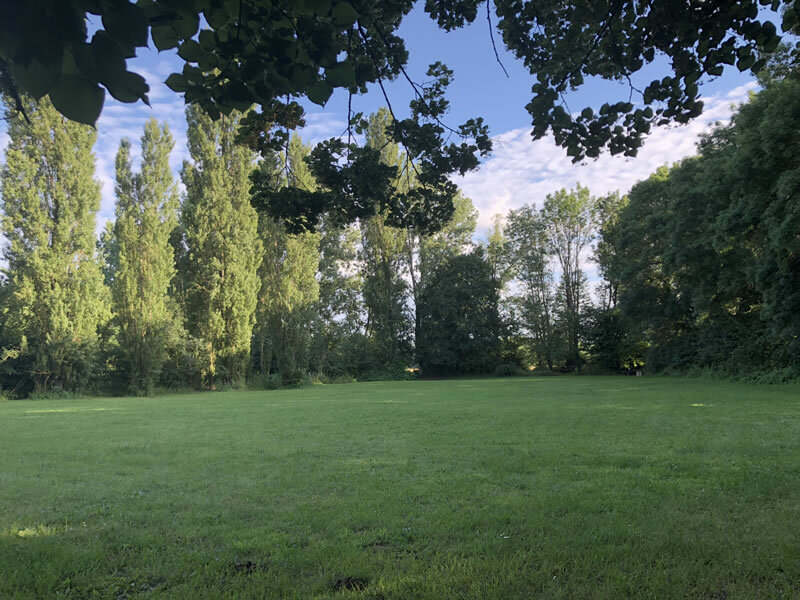 The grounds are diverse with a number of different gardens to sit out and a field to play sport on. The river Bandiat meanders along the two sides of the property and the weir adds charm. Enclosed, 10 Ft. by 5 Ft. swimming pool, decked all around Safe swimming or sun lounging with delightful views over the garden. There are many places to sit and enjoy a meal, a drink or both or just to sit and enjoy the sunshine or shade. From historic towns and cities; to wine & cognac tasting; to sun, sand and swimming to active outward bound activities the area around Rochepine Manoir has it all. The area surrounding Rochepine Manoir is perfect for getting a taste of quintessential French way of life. 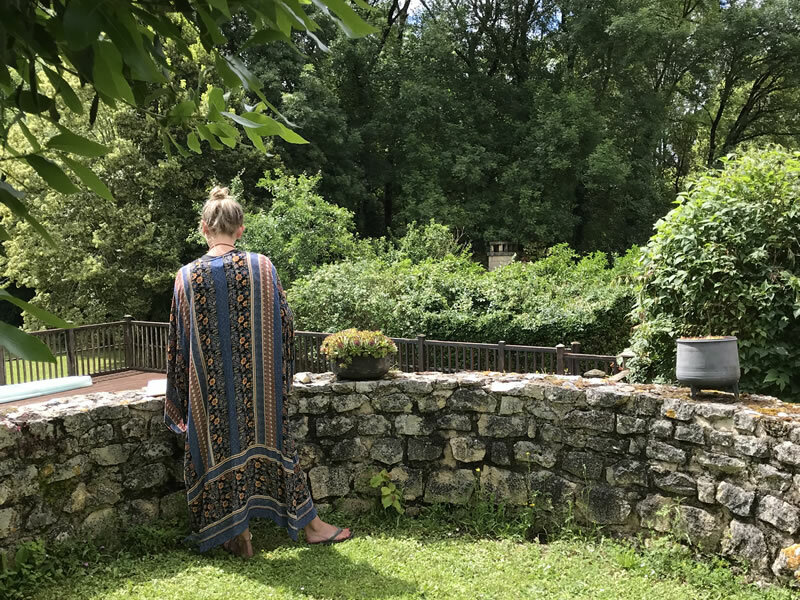 This is the heartland of French gastronomy, Wine, Cognac, of local fresh produce bought at the many markets, of rolling fields of Sunflower ripening in the sun, of vineyards, of forests and lakes. 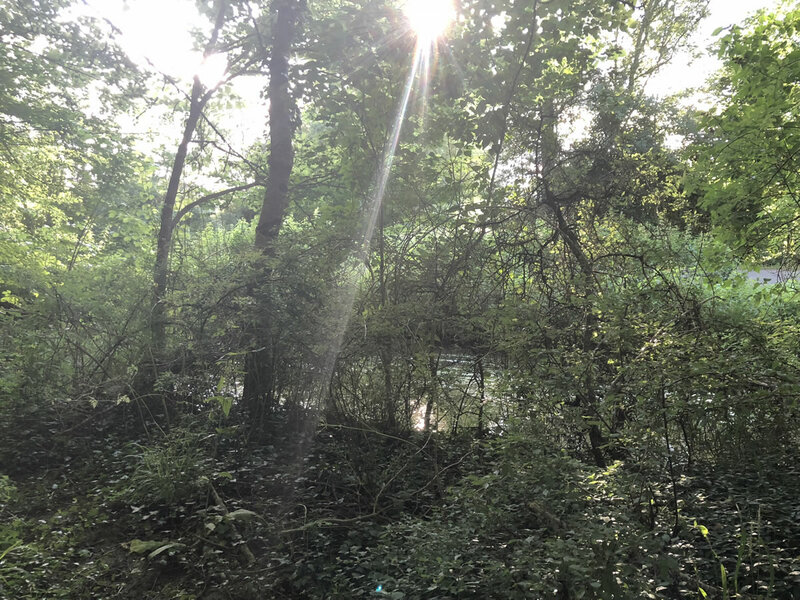 The rivers Charente, Tardoire and Bandiat all feed the area with their life blood and also provide for a great leisure resource for Sailing, Canoeing , Fishing, Swimming or just simply messing about in the water. Dordogne historical towns – Take a day trip in the Dordogne to the historical towns of Brantome, Aubeterre & Periguex with their ancient buildings and riverside settings, enjoy a boat trip, visit historical buildings with incredible architecture or just meander through the streets of the old towns visiting the artisan shops and enjoy a meal and a drink in a café restaurant that spill on the streets in the summer. A city just 20 minutes away, is a great place to eat and drink too – hundreds of cafes, bars and restaurants & markets fill the old quarter with its winding cobbled streets. There are lively street for modern shopping. Each September there is the “Circuit des Remparts”, when the roads around the city ramparts are closed off for the weekend and a racing circuit created for vintage and classic cars from the 20s to the 80s, enjoy the spectacle and sit at tables spilling onto the pavements crowded with families enjoying the warm summer evenings. Locally there are two notable Chateau worth visiting at Rochefoucauld and Jumilhac. The Chateaux at Rochefoucauld, boasts a Leonardo da Vinci staircase and it is most exquisite! PERFECT FOR CYCLING -Miles of safe ‘Velo Vert’ routes – where old railway line are converted to cycle tracks, providing routes which are sheltered or flat. The route starts behind the Manoir and is 21 km long Or there is road cycling where drivers respect giving loads of space to bikes. Or miles of off road tracks spinning through trees and crossing the countryside. The Manoir is perfect place to store and clean your bikes. Between Montbron and La Rochechouart is an area of natural beauty where cycling and canoeing is popular and water sports in the lakes or relax on the manmade sandy beaches. Or combine with a Waterpark with shoots with The Grande Prairie lake near Angouleme with its’ water sports and manmade sandy beach. Close to Soyeux 20 minutes away is a ‘Go Ape’ type activity centre, with tree walks and zip wires – different routes for different levels and age groups. 20 minutes away maybe enjoy Canoeing or Kayaking spending a half day or day (with a picnic) sculling the Tardoire river in the sun. 15 minutes away there is a Championship Level Go Karting Circuit. Or how about swinging the clubs at the 18 hole courses close by and you rent clubs too. For Availability please contact Kathleen & Simon Home or fill in the form.